James Hardie Industries first got its start in Australia in 1888 by importing animal hides. Over the years, however, the company became involved in a number of other ventures, one of them being the manufacture of building materials. Now headquartered in Ireland, James Hardie is one of the world’s premier manufacturers of fiber cement siding. 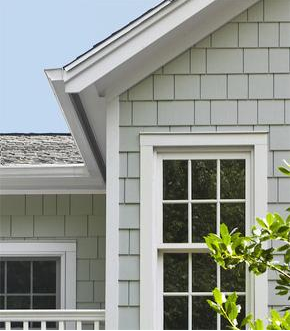 Here at Aspen Exterior, we use James Hardie for many of our fiber cement siding needs. We know that, by doing so, we’ll be able to provide our customers with some of the best fiber cement siding the world has to offer! At James Hardie, style is a priority. The company knows that homeowners are seeking out a wide variety of looks, and it is more than happy to accommodate that. Whether you’re looking for lap siding, vertical siding, or shingles siding, James Hardie has a huge selection from which you can choose! 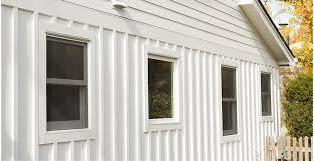 Sometimes called horizontal siding or clapboard siding, lap siding comes in long, narrow panels which are installed horizontally across the sides of homes. 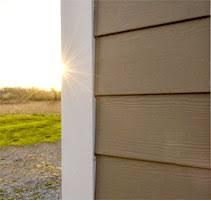 Very common, lap siding possesses a pleasing aesthetic which works on homes of all styles and sizes. Offering terrific protection, lap siding is thinner on its top than it is on its bottom. This difference in thickness allows it to be overlapped, doing a great deal to resist the inward flow of heat, cold and moisture. Vertical siding is sometimes called batten and board siding, and, while not as popular as lap siding, offers a terrific aesthetic that looks great on homes of all kinds. 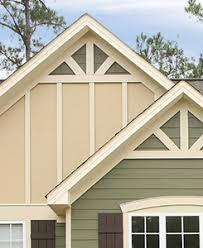 This siding comes in long, expansive boards which cover large areas of homes. These boards possess vertical lines which don’t serve much of a functional purpose, but which offer an aesthetic alternative. Often referred to as shakes, shingles are designed to look more like roofing shingles. Smaller than the panels used for vertical and lap siding, shingles are generally installed in a vertical manner, overlapping one another to produce a textured aesthetic. Extremely protective, shingles are very often seen on antique and luxury homes. However, this certainly doesn’t mean that they should be limited to these types of homes. If you’re looking to give your home a unique aesthetic, shingles will get the job done with ease. There’s nothing more boring than a row of houses that are all the same color. That’s why James Hardie offers a number of color options for its siding. Whether you prefer green, blue, gray, red, purple, or something entirely different, James Hardie will be able to accommodate you. 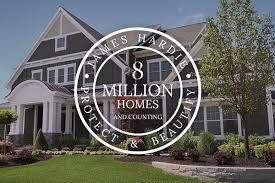 Being the reputable company that it is, James Hardie stands behind its paying customers. That’s why the company offers 30-year warranties on all of its fiber cement siding products. If your James Hardie siding suffers damage due to manufacturing flaws, the company will cover the cost of repairs and replacements. Note, however, that this warranty does not cover labor costs. 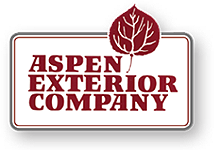 If you’re looking for a warranty on labor, look no further than Aspen Exterior. We offer 10-year labor warranties on all of our siding installations. Established in 1978, Aspen Exterior has installed James Hardie fiber cement siding on a great many homes throughout the Chicagoland area. We use James Hardie as one of our suppliers because the company has demonstrated a longtime aptitude for quality, consistency, and reliability. If you’re looking to buy James Hardie siding in Chicagoland, or if you’re interested in utilizing our siding installation services, you can contact us at (847) 590-5600!